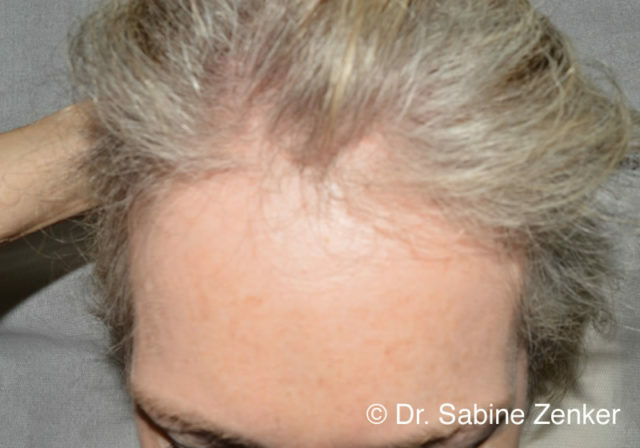 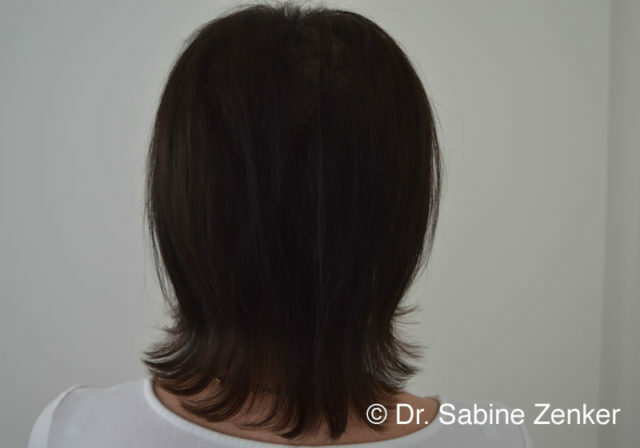 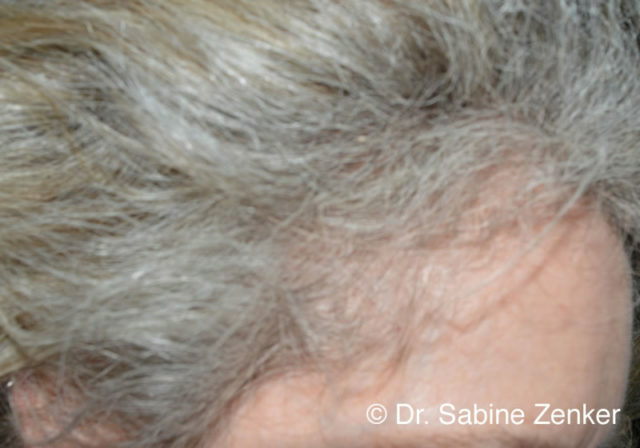 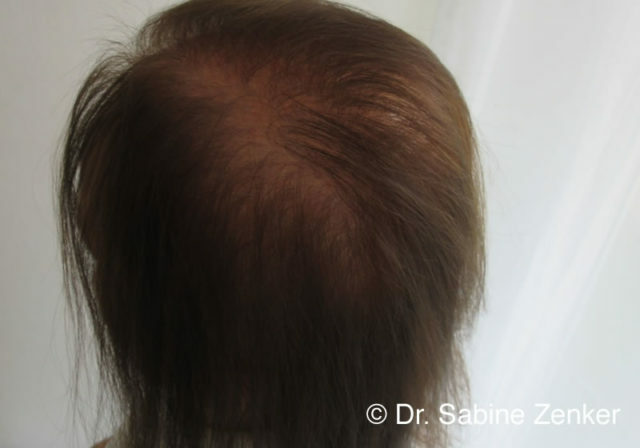 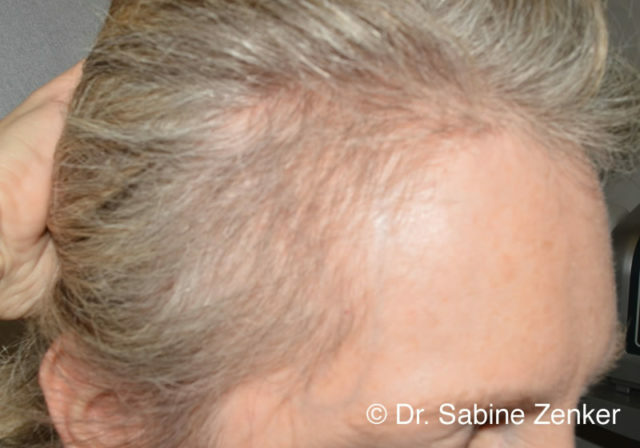 See here some treatment results for typical indications showcasing Dr Zenker’s expertise. 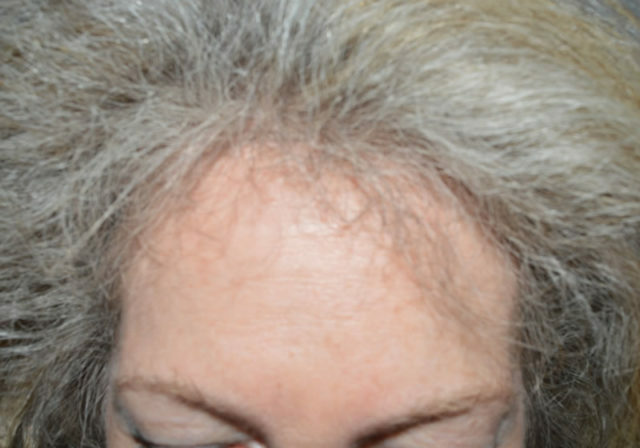 The before and after pictures showcase our indication-specific approach for customized and most optimized individual treatment results. 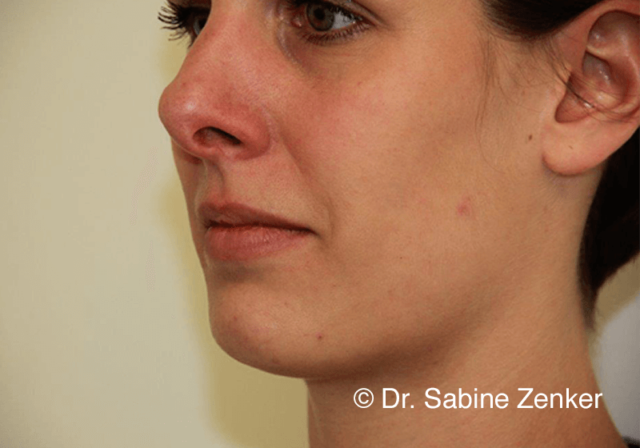 The following pictures are kindly provided by our patients. 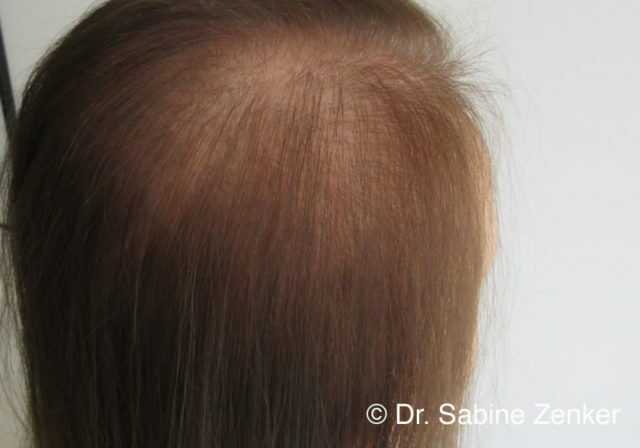 Hair loss, especially the excessive one, can be very stressful. 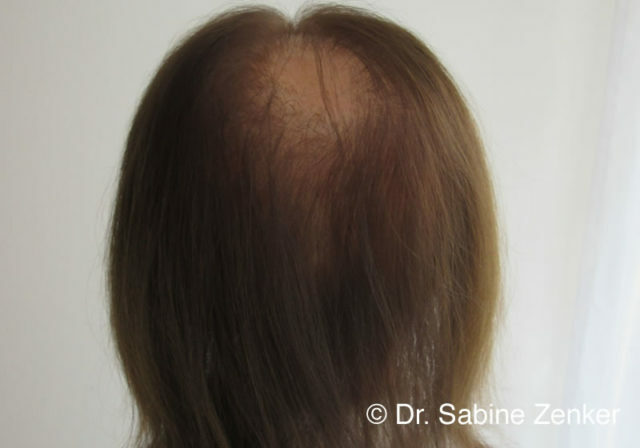 A therapeutic concept using the body’s own substances is a very promising therapy especially in otherwise not controllable hair loss. 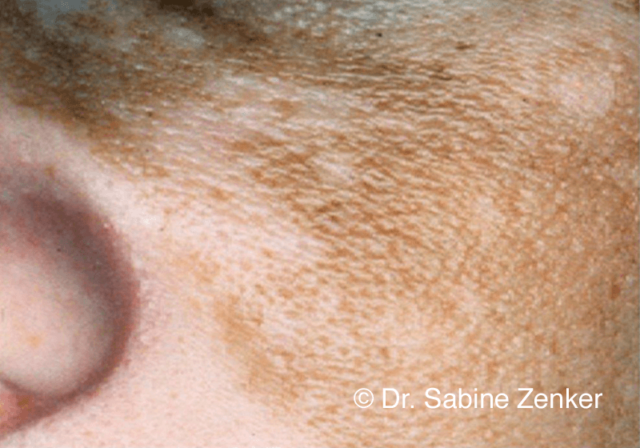 Melasma is an utmost annoying pigmentary disorder visible by brown patches predominantly located in areas such as the face, neck and décolletage. 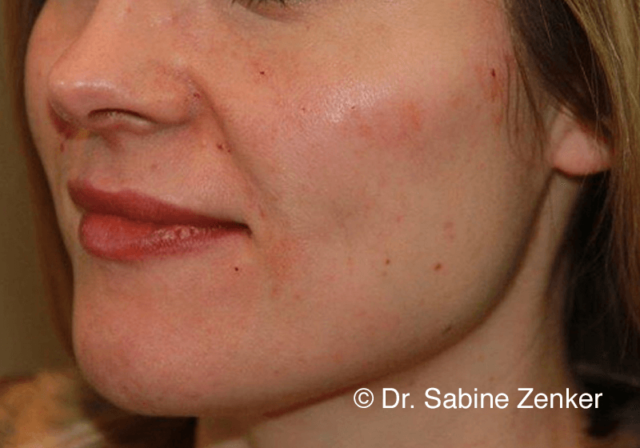 Triggering factors include UV radiation, cosmetics, hormones, medication etc. 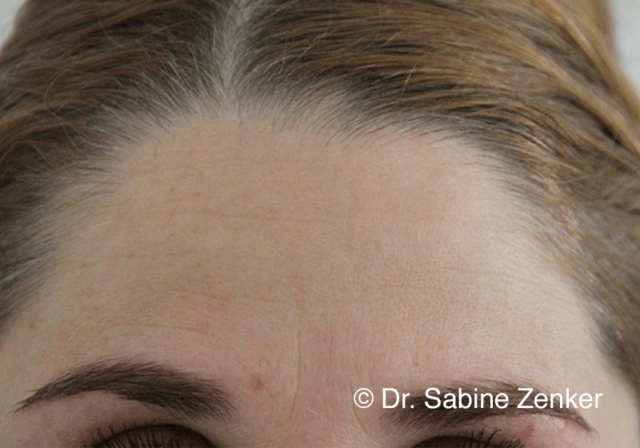 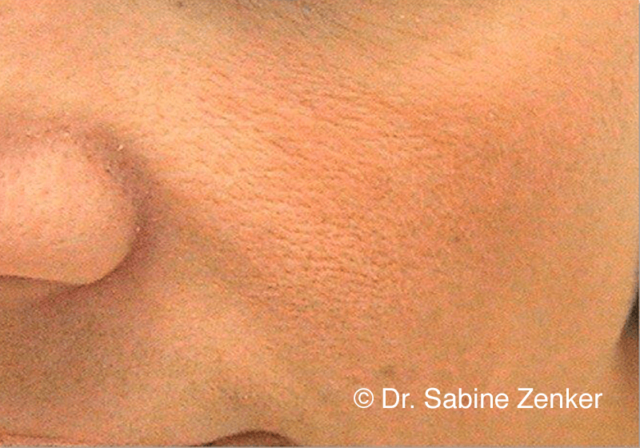 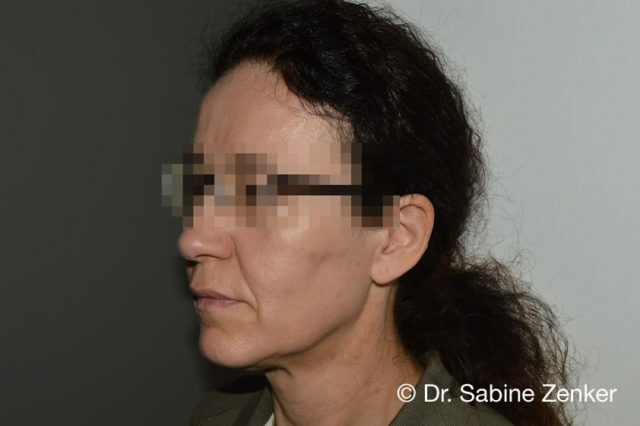 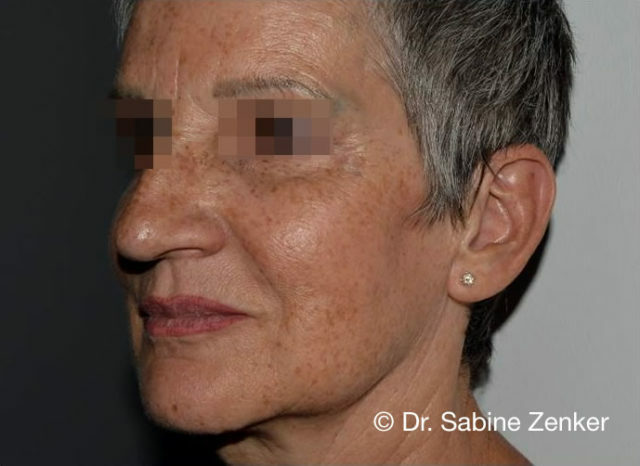 For more than 15 years, Dr Sabine Zenker specializes in treating and managing the difficult-to-treat melasma successfully: Dr Zenker developed the specific peel DrZenkerDepiFastPeel (DrZenkerDFP©), a chemical peel incorporating the dual action of removing the interfering hyperpigmentation and controlling its new formation effectively. 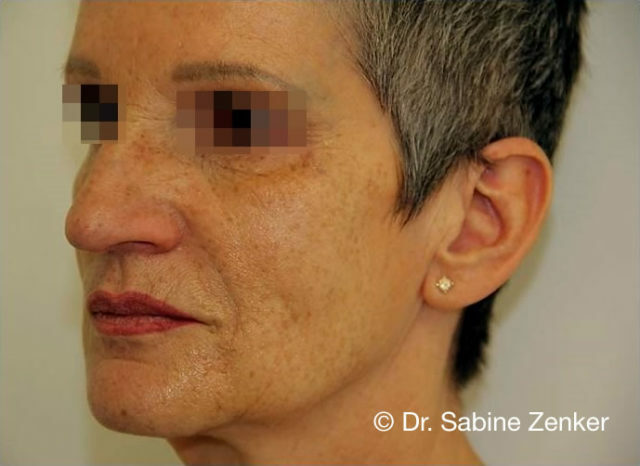 The following before and after showcases the treatment with DrZenkerDFP©. 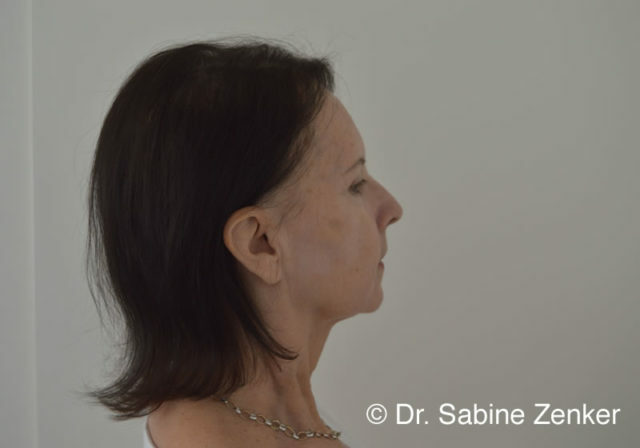 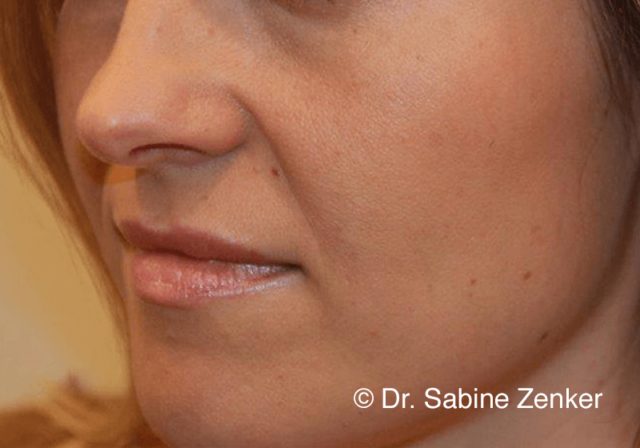 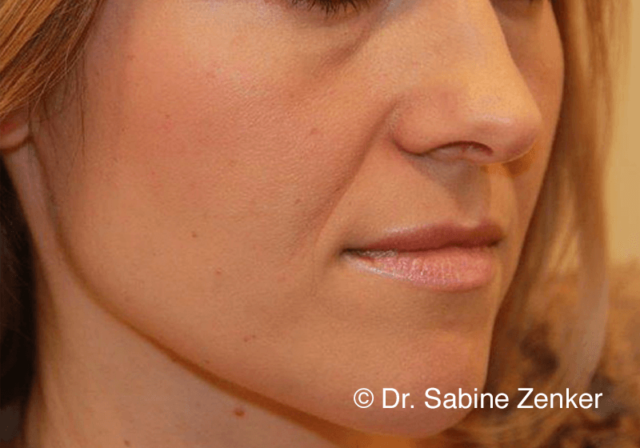 Dr Sabine Zenker has developed a state-of-the-art treatment concept to beautify faces. 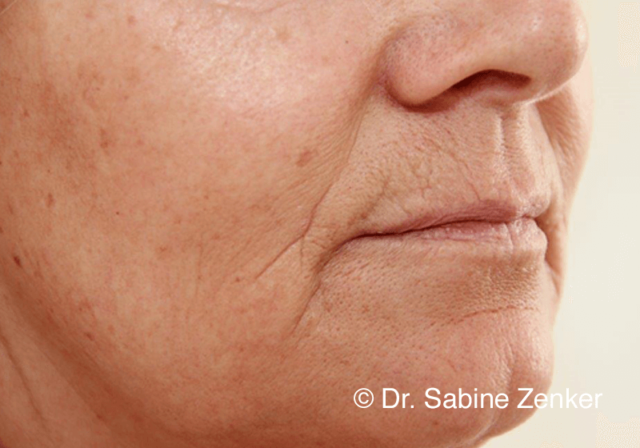 The aging skin continuously loses its water retaining capacity as well as the overall hyaluronic acid and collagen content, and the skin’s elasticity and thickness reduces. 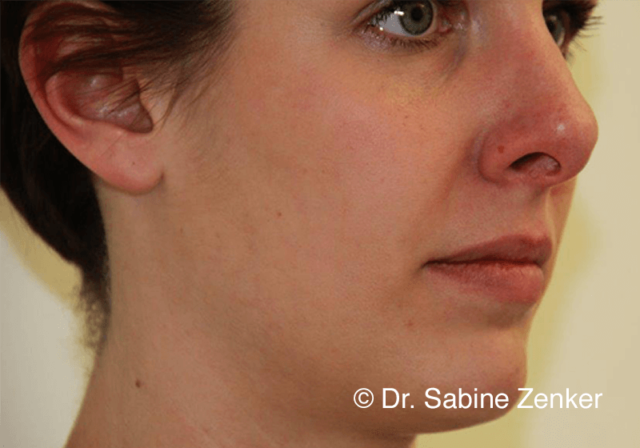 Additionally, a major volume loss takes place and affects the subcutaneous structures, predominantly the fat tissue. 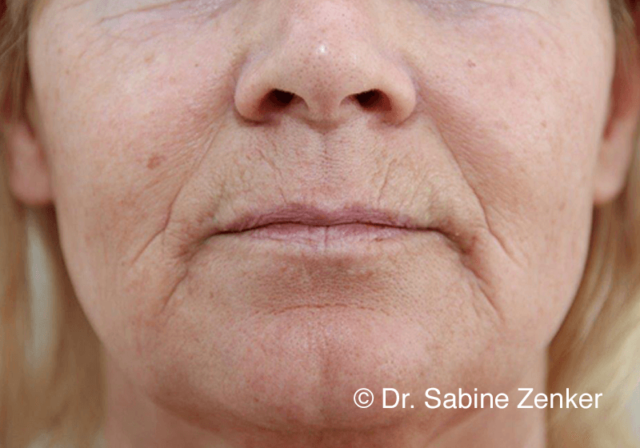 Wrinkles appear, facial structures sag and give way for grooves and shades. 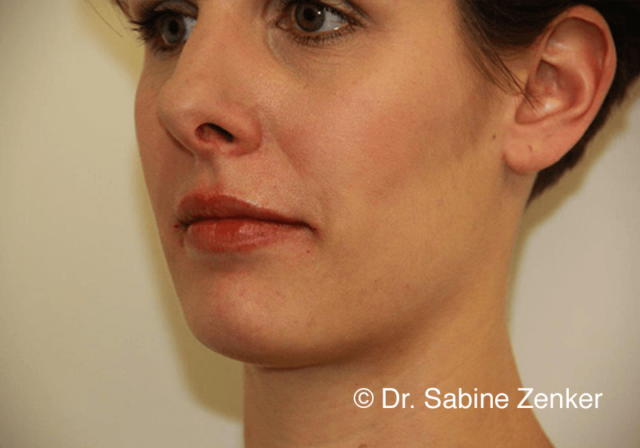 Over the years, facial expressions turn out to be unwantedly negative and perturbing. 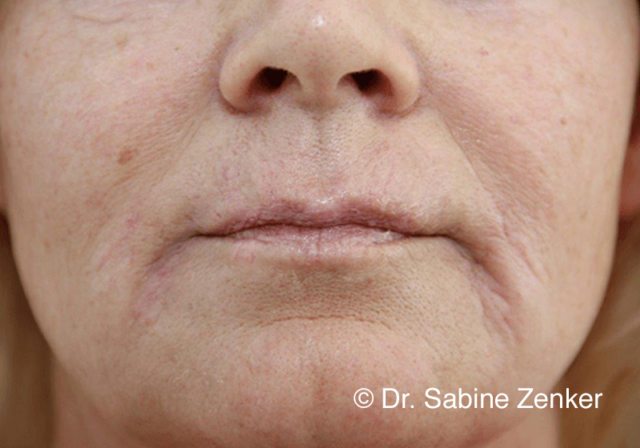 Fillers are used for smoothing out wrinkles to 3-dimensionally revoluminizing, lifting and reshaping facial structures. 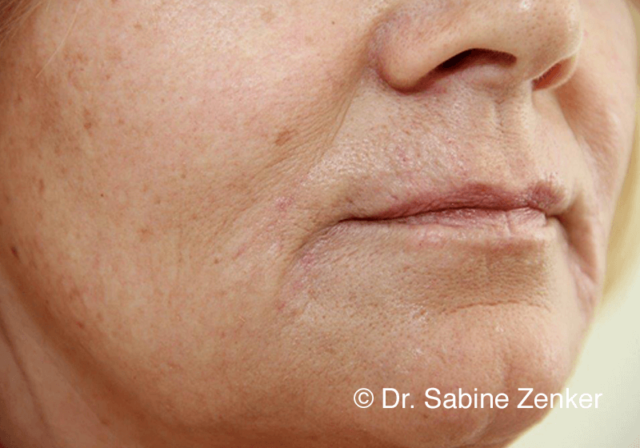 Dr Zenker exclusively works with biodegradable filler materials such as Hyaluronic Acid, Calcium Hydroxylapatit, Polycaprolactone. 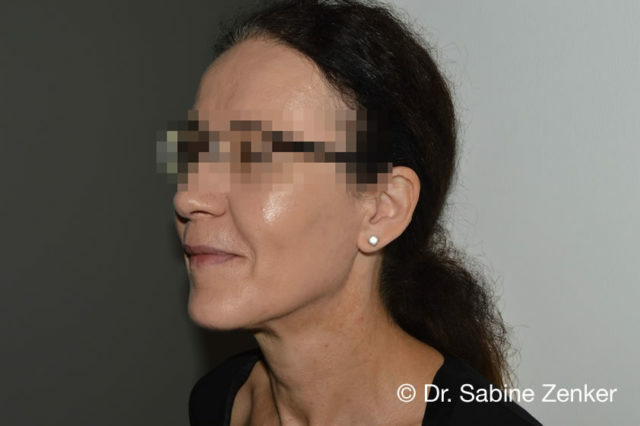 Dr Sabine Zenker’s expertise in injecting fillers is based on a decade-long experience in implementing cutting edge, customized solutions for both, her patients as well as her colleagues whom she teaches on fillers around the world. 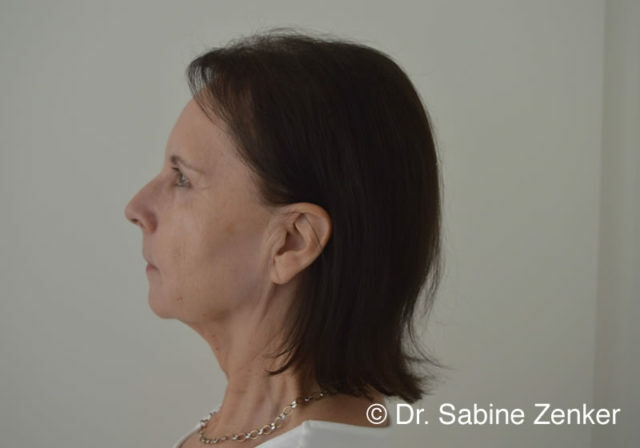 She focuses on continuously improving injection techniques by providing individual solutions adapted to patient’s expectations as well as their individual aesthetic aspects. 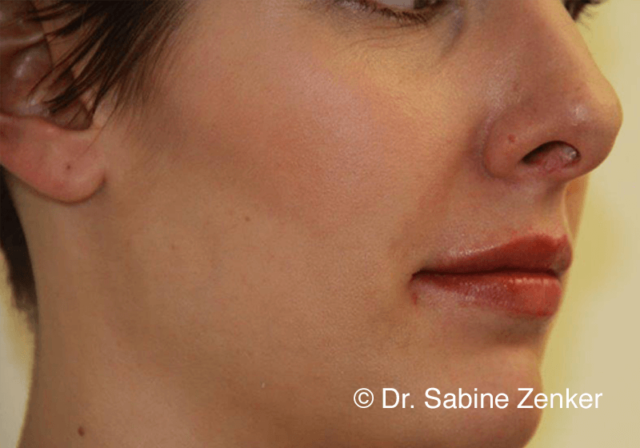 Dr Zenker offers injections with the most modern equipment such as injection systems, blunt cannulas, finest needles etc. 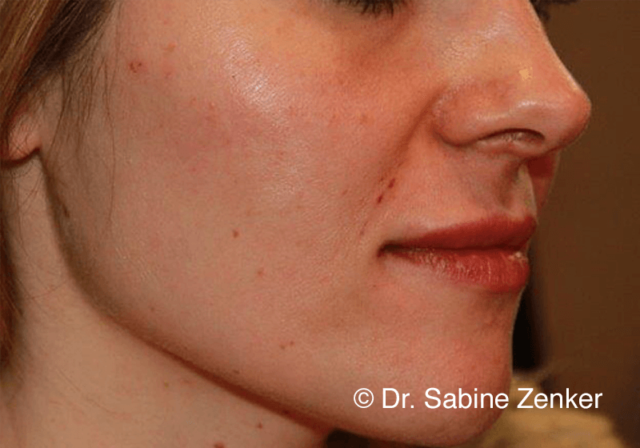 to improve the overall aesthetic outcome and to reduce side effects such as pain, swelling and bruising. 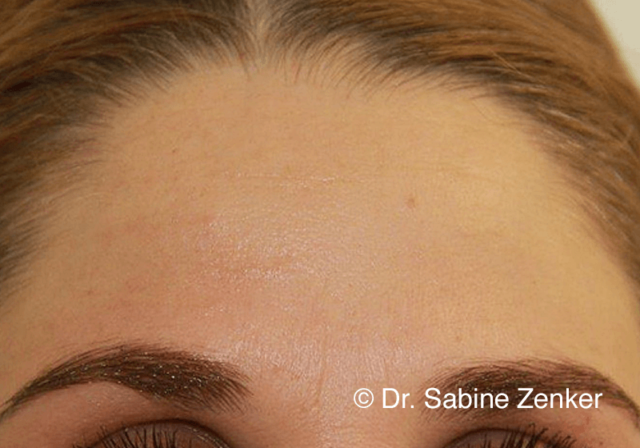 The following before and after showcases filler treatments of cheeks, forehead and lips.